One office space trend called co-working office spaces is becoming popular with small and young companies looking to grow. They see their growth not only with the help of others, but also by helping others grow in a shared facility that fosters collaboration. What many do not realize is that Toronto collaborative office space is not just for co-working with other entrepreneurs or companies. Some small businesses have found that cubicles and small offices with walls and doors are not conductive to collaboration among employees and are looking at alternative work-space environments that are not co-working Toronto office space facilities, but more like team space. They have realized that collaborative office space is not just for co-working and can give their staffers a place to grow as a team to make their business more productive. A team office space works best without walls or cubicles and allows team members to communicate better in person, rather than by phone or email. The concept of collaborative work space is not limited to entrepreneurs and small business; even larger businesses are seeing that Toronto collaborative office space is not just for co-working or smaller organizations. Many large businesses will set up collaborative team environments within their office facility to be utilized by teams working on short-term special projects, or sometimes for specialized creative teams. They recognize that office walls and cubicles can stifle creativity, communications and feedback. When larger companies or organizations set up collaborative (or team) work space, it is not always in the same office space or business centre as the rest of the organization. Realizing that Toronto collaborative office space is not just for co-working, they know that having it at the same location as the rest of the company may also stifle creativity due to distractions and interruptions. The team that is working on a special project does not need to be distracted by the office politics of the entire company, nor do they need to be interrupted by someone in accounting looking for clarification on something while they are working with other team members. 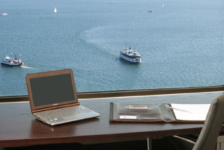 There are office space Toronto facilities like Telsec that offer team space that is ideal for collaboration. Telsec knows that Toronto collaborative office space is not just for co-working, and that teams need productive and conductive office spaces. 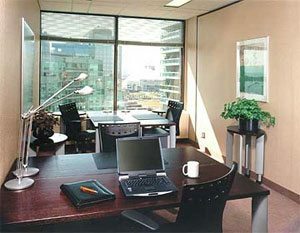 Companies can rent team space in a convenient downtown Toronto office space location on a short-term or long term-basis without having to sign a long-term lease.